I know this isn’t news to you but I am still obsessed with hand cream. There are so many options out there but I need something I can use on the go. That means no greasy hands or residue and no strong smells. Essence sent me their gel nails at home Super Rich hand and nail cream. Let me tell you the basics about it first. First of all, I really like the colour of the container. It’s bright and pretty and that really wins me over. This hand cream is 75ml and is a white, fairly thick cream. My impression of this cream after using it? I love it. I love it so much I have since repurchased it and am half way through my second tub as well. I love the smell. It smell clean and fresh but isn’t strong. It also doesn’t linger forever. I love how quickly it absorbs into my skin leaving no residue and best of all, no greasiness. My hands also feel really moisturised and soft after using this. 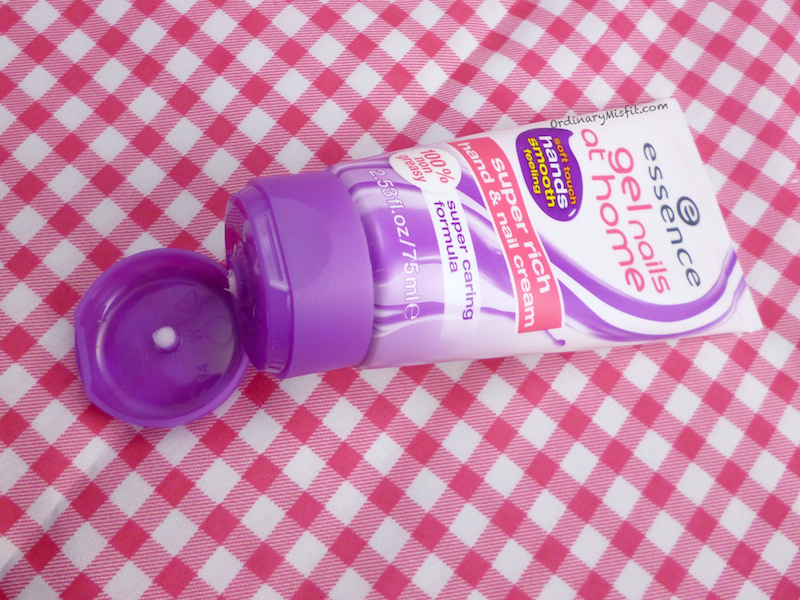 This is the perfect hand cream to use on the go and I keep one in my bag so that I can use it anywhere. The fact that it soaks right in and doesn’t leave me with greasy hands mean I can carry on with whatever I was doing before. This is also super affordable at around the R20 mark. I do tend to use this often during the day but I also wash my hands often so it makes sense. Not only does it not leave my hands greasy but when I wash my hands it doesn’t feel like I am washing away layers of cream. Which is testament to how well it soaks into my skin and not just sit on my skin. You can find these at your nearest Dischem but I am not sure if they are available at Clicks. You can also keep up with Essence South Africa on Facebook or Twitter. 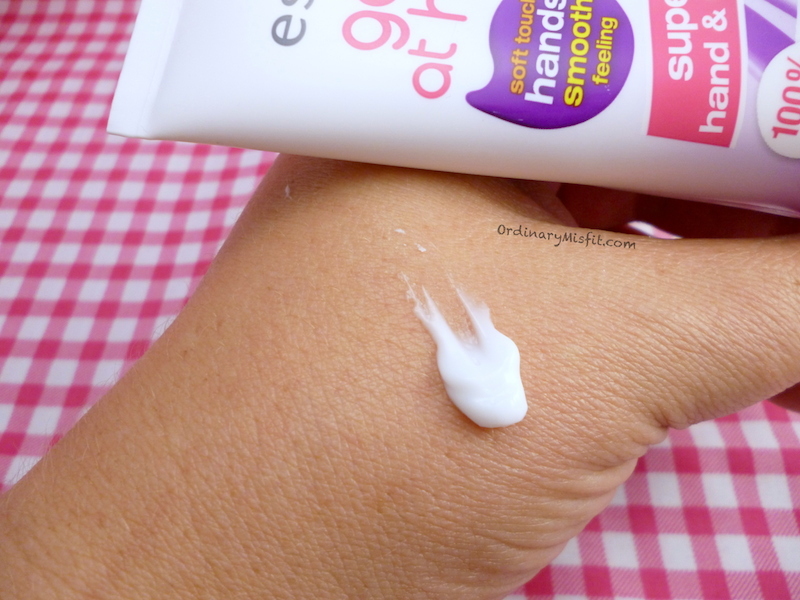 Have you tried this hand cream? What do you think? I have not tried this cream but I am currently looking for a similar product. This one is affordable and I will give it a try but I must say I was not too happy with Essence caring oil. I hope I have better luck this time! I hope you like it as much as I did. I have better oils than the Essence one so even though I use it now and then I have others I would recommend before. I want this for my purse SO BADLY! That’s exactly where I keep mine. It’s great for on the go! Do you have access to Essence easily?